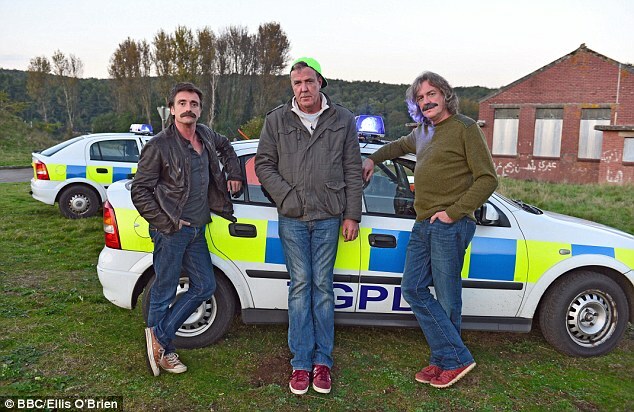 The presenters of Top Gear are infamous for either chasing their youth or chasing each other. The treacherous trio have been creating fantastic television with the new series being their 21st. They wanted to mark this beautiful occasion with a Top Gear special! They will be visiting the golden ages of the 80’s in their first episode of the 21st series, revising the hatchbacks of their younger days. Dressed head to toe in teenage attire the three sported a ridiculous look in even more ridiculous cars. Clarkson drove a Volkswagen Golf GTI, Hammond was in a Vauxhall Nova SRi and May in a Ford Fiesta XR2i. The three set out on a series of challenges to gauge which car was to be named the best. 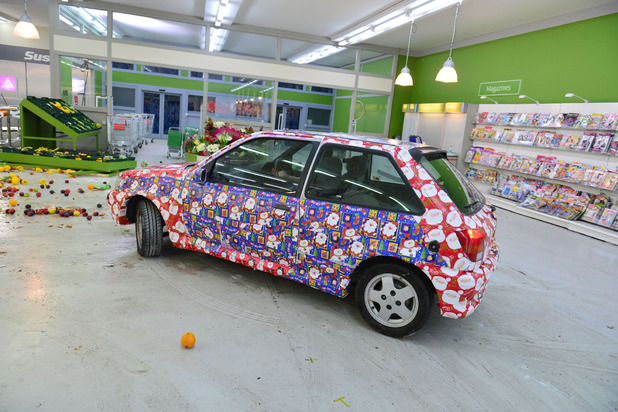 Of course this did not take the usual form of testing but saw them race through the isles of a supermarket as well as incorporating an army tank and into the competition. Did we really expect anything less? It is for this kind of craziness that Top Gear was revealed as the most requested show on iPlayer in 2014 with the programme’s Africa special receiving 3.4 million requests. 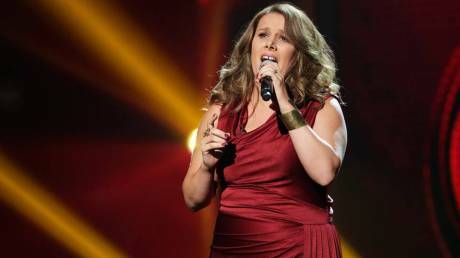 Ex Prison Officer and X Factor hopeful Sam Bailey has seen a complete transformation. She now enthuses with confidence and sassiness on stage, belting out classic ballads as well as more modern material. We love her for her relatable nature being a wife and mother chasing her dreams. Being the bookies favourite to win Sam has well and truly thrown herself into the celebrity lifestyle, attending red carpet events and being bombarded with interviews. It has become obvious that Sam is entertaining the idea of being a diva, getting pretty used to the more lavish lifestyle. After leaving a very exclusive restaurant with fellow X Factor contestants last week Sam and the group had to leave for the Royal Variety Performance. It was just a two-minute walk from the swanky spot near Carnaby Street to the London Palladium but Sam Bailey demanded a limo take her there. It is safe to say that Sam Bailey knows what she wants and will not stop until she gets it. This seems to be a theme amongst female X Factor contestants. Steph Woods who left the show at bootcamp has been snapped in limos and a Rolls Royce’ since her exit, showing a love for more prestigious travel. 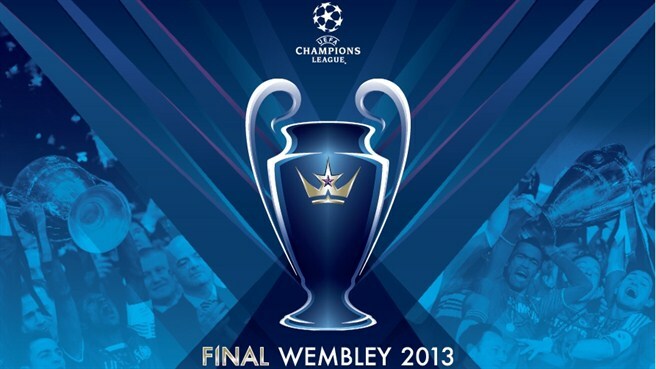 In just over a month, on Saturday the 25th May, the biggest event of the footballing calendar will take place – the UEFA Champion’s League Final 2013. As well as being the 150th anniversary of the Football Association, the Final is also being held in our very own Wembley Stadium, so the UEFA Champion’s League 2013 is going to be an extra special event. With an all-German final looking likely, we can expect thousands of fans flocking over from Germany to London to watch the final. Fans of Bayern Munich and Borussia Dortmund are likely to be filling Wembley Stadium on the 25th, after having beaten Real Madrid and Barcelona 4-0 and 4-1 respectively. UEFA have already handed the coveted trophies over to London in an opulent ceremony, so we will have to wait and see who will be taking home the trophy, and taking the title as the UEFA Champions from last year’s winners Chelsea. It is a huge compliment to Wembley, being chosen by UEFA as the place to host the final again, having only held it in two years ago in 2011. 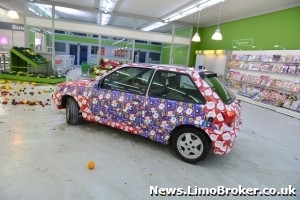 Limo Broker will be one of the main suppliers of luxury cars and limos for hire during the UEFA Champion’s League. They will be supplying cars to ferry football fans from everywhere in the country to Wembley, as well as foreign (most-likely German) fans to and from the airport. So if you’re lucky enough to have tickets for the big game, why not start preparing for the UEFA Champion’s League Final by hiring a top-of-the-range chauffeur-driven stretch limo or car in time for the big event from Limo Broker. As a nationwide company, Limo Broker supplies high-end transport to all areas of the country at the most competitive prices around. So browse the gallery, then phone them on 0844 567 5252 or fill in the quote form to book your head-turning ride for the Final. Katie Price was all smiles last week as she posed next to the official Foxy Bingo limousine, supplied by Limo Broker, to pick up her award for Foxy Bingo Celebrity Mum of the Year 2012. The model and mum-of-three attended a press photo call where she was pictured alongside the official Foxy Bingo mascot and the stunning white stretch Foxy Bingo limousine where she presented with her trophy. Today’s award marks the second time the 33-year-old former glamour model has been handed the title of Celeb mum of the year, the last time was five years ago in 2007. Katie Price is mum to 9-year-old Harvey from a previous relationship with footballer Dwight Yorke, and 6-year-old Junior and 4-year-old Princess from her marriage to Peter Andre. Price beat off steep competition from a whole host of celebrity mums including This Morning host Holly Willoughby, Spice Girl turned fashion designer, Victoria Beckham and Britain’s Got Talent judge Amanda Holden to scoop the 2012 title from Foxy Bingo. Speaking last week at the press call, Katie Price described winning the title of Foxy Bingo Celebrity Mum of the Year for a second time as a “huge triumph”, before thanking for everyone who voted as the winner was chosen via a public vote. A hummer-mad Malaysian businessman has recently taken delivery of a specially commissioned 13 metre hummer limousine which has room to accommodate 30 people onboard. 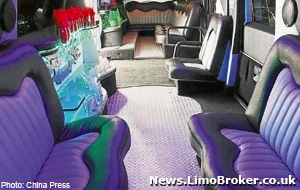 The colossal hummer is one of three impressive limos owned by businessman Liu Yun Lian. Since purchasing his first 5-door hummer some time ago, the millionaire says his love for the chunky hummer limo has not waned, in fact, he says his desire to own bigger and better hummers pushes him to achieve more in his professional life. Mr Liu believes his is the only 13 metre hummer in Asia as the businessman had the vehicle custom made by a specialist coach builder in the US before having it shipped over to his home near Kuala Lumpier. However the 13 metre hummer almost went to someone else as only one of these huge hummers is made every year and so Mr Liu ended up in a bidding war with another potential buyer in Mexico – however a sizeable undisclosed bid, believed to be the equivalent to the cost of a luxury home, sealed the deal for the hummer-mad businessman. Taking the massive hummers out on the road requires a great deal of planning and man power as six bodyguards-come-chauffeurs are needed with two drivers in normal sedans driving ahead and behind the 13 metre and 9 metre hummers to monitor the upcoming traffic and road conditions, while each hummer as one chauffeur and another bodyguard in the passenger seat acting as a lookout for potential issues which could affect the hummer’s progress along its route.